I don’t know what’s hotter, all the fabulous parties and receptions I’ve hosted so far or the really hot and humid temps in the northeast. DJ Lori B votes for the parties of course. 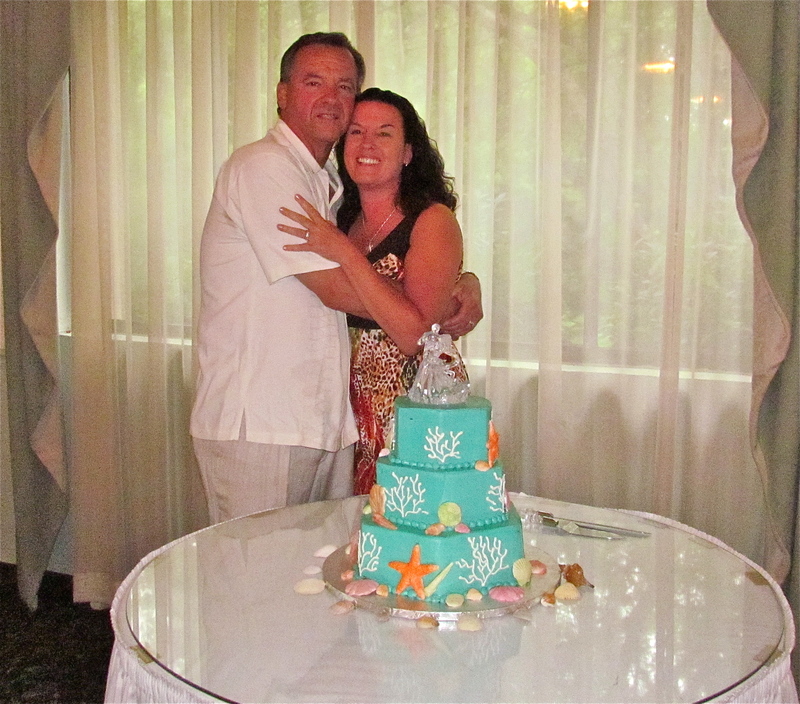 Gary & Kathy were married in a private ceremony on the village island of Islamorada located off the Florida Keys. About a month later they invited friends and family for a golf outing and party. Their event was held at The Grassmere Country Club in Enfield, Ct. It was my first time DJing at Grassmere. The layout is DJ friendly with plenty of space for equipment and lights. The staff was friendly and courteous. The party kicked off right after dinner. Kathy provided me with a great playlist with a lots of variety. Motown, classic rock, top 40 dance, and disco. Gary is a country fan and I played a lot of songs by Keith Urban.